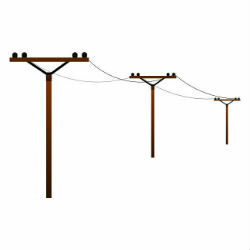 The Governments of Tanzania, Zambia and Kenya have signed a Memorandum of Understanding (MoU) to fund a USD 1.2 billion power inter-connector project that will connect the Eastern African Power Pool (EAPP) to the Southern African Power Pool (SAPP). The Zambia-Kenya-Tanzania (ZTK) power interconnector project is scheduled to be launched at the end of 2015 or in early 2016 and is expected to be completed by December 2018. According to the Tanzania Minister of Energy and Minerals, Sospeter Muhongo, governments need to develop laws that are both attractive and favorable to encourage additional investments in their energy sectors. Professor Muhongo went on to indicate that nearly 50% of the population in Africa lives in rural areas with no access to electricity. Witnesses to the MoU included the European Union (EU), Common Market for Eastern and Southern Africa (COMESA), the Norwegian Fund, the World Bank, the African Development Bank and the China Development Bank as well as a number of other financial institutions.